Greetings, Inquisitors! 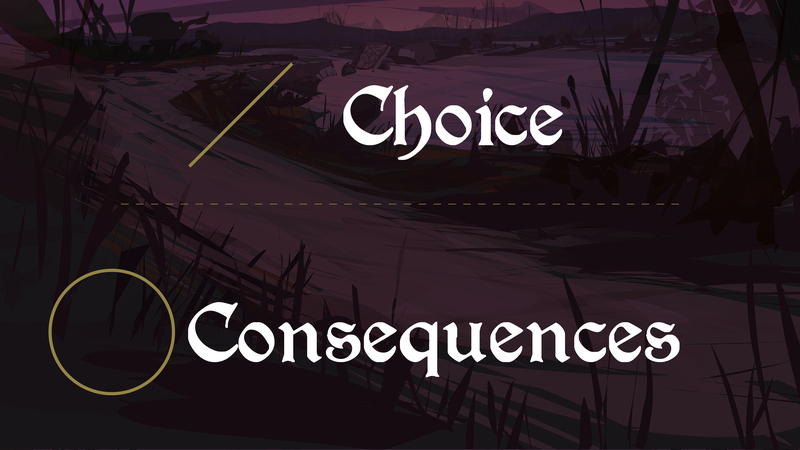 We return with our dev-blog series on managing choices and consequences within Sine Requie Snake Eyes' story. This time, let's talk about the structure of an interactive story. Think of choices and consequences within a narration as if they were geometric shapes: consequences are circles (a bit like graph nodes, for those of you familar with math), connected by actions that can be represented through line segments (also called "arcs"). 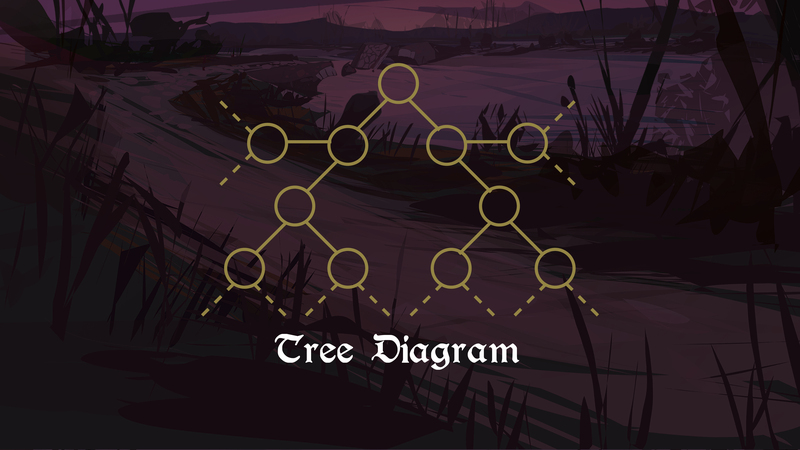 If we extend this structure to an entire zone, many will probably imagine this with a shape not unlike that of a tree: each consequence can lead to countless choices, which in turn bring us to further consequences. On a purely conceptual level, this structure is not wrong: each new consequence will exponentially increase the total number of consequences, making it impossible to handle the complexity of a story lasting dozens of hours, such as that of a videogame. In order to reduce the complexity of our story, we make us of "bottlenecks" which will prevent the narration from bloating into an unwieldy mass of consequences. 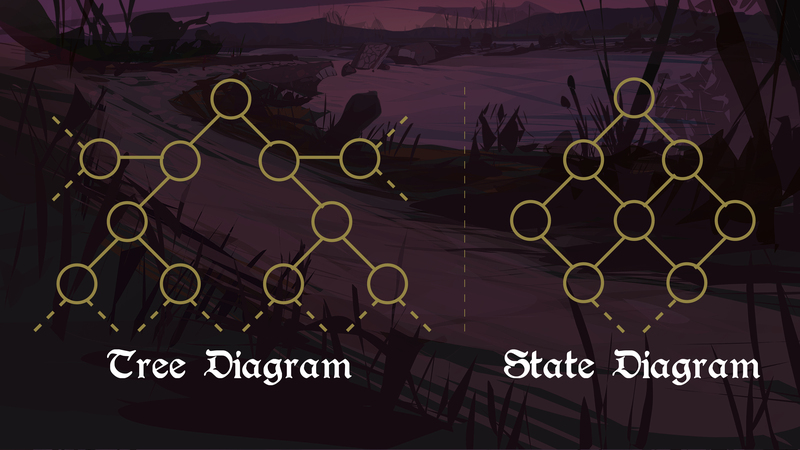 Because of this, the story of an interactive game resembles a state diagram. This technical limitation, which applies to every interactive story, forces us to face an ugly truth: our current technological level prevents us from experiencing true freedom of choice within a videogame. 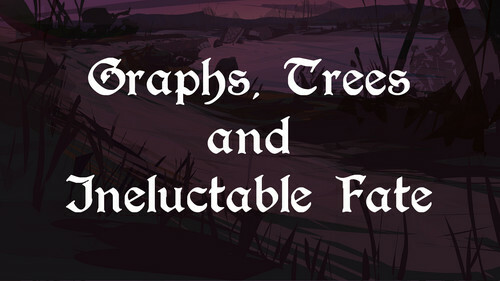 Are we doomed to play through linear, immutable stories? Yes, BUT some tricks and stratagems allow us to go beyond these limitations. Surely you'll be delighted to know that we will unveil these tricks of the trade in our next dev-blog: "Smoke and Mirrors".